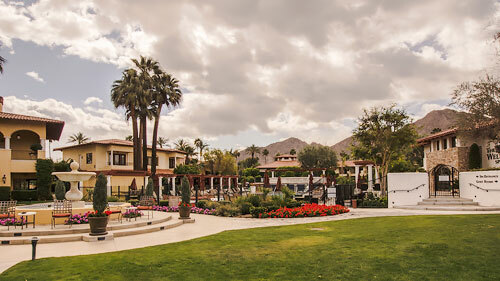 Located in Indian Wells, just 30 miles from Palm Springs, Miramonte Resort (760-341-2200, www.miramonteresort.com) offers luxurious and accessible accommodations in a Mediterranean village setting. This Southern California resort features 215 rooms on 11 park-like acres, filled with olives trees, rose gardens and citrus groves. There’s plenty of accessible parking in front, with level access to the lobby. 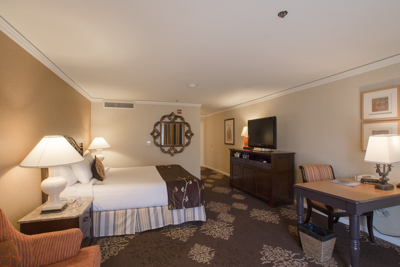 From there, it’s just a short drive to Room 1251, which boasts excellent access. There is accessible parking in front of the building with level access to the room. 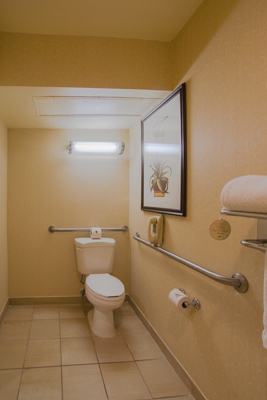 Inside you’ll find wide doorways and good pathway access to a very spacious room, furnished with a 28-inch high king-sized bed, with wheelchair access on both sides. Other furnishings include a desk, table and chair, an easy chair and a refrigerator. 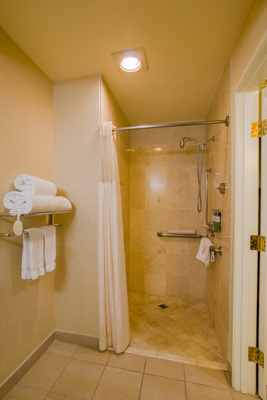 The bathroom has a roll-in shower with grab bars, a hand-held showerhead and a portable shower chair. The shower is 41 inches wide and 47 inches deep, with plenty of room for most transfers. 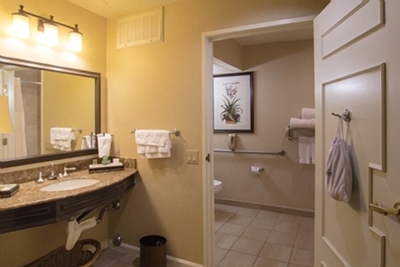 The bathroom also includes a toilet with grab bars on the left and back walls (as seated). A roll-under sink is located in an adjacent alcove, and there’s even a lowered make-up mirror on the counter. A sliding glass door with a level threshold leads out to a semi-private patio shielded by a hedgerow. There’s a table and two chairs out there, although they can certainly be moved to the grass if you require more room. It’s a very pleasant place to enjoy a glass of wine and watch the sunset. Behind the building you’ll find the adults-only Piedmont pool, which features good access around the pool, and lifts for the pool and the hot tub. 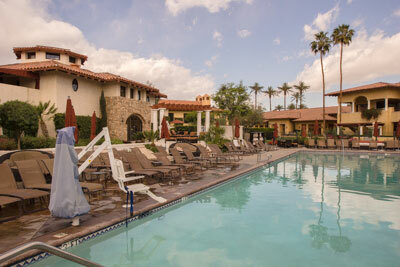 The main pool, which is located near the lobby, also features pool and hot tub lifts. There is ramp access up to the hot tub area, and barrier-free access around the main pool and cabanas. Although this is the family pool, the kids are a well behaved crowd, so it’s still a pleasant place to relax. And if you want to ramp up the relaxation a bit, there’s also level access to the spa from the main pool area. And for a healthy bite to eat, check out the Grove Restaurant. It’s located just off the lobby and features level access. The menu includes a selection of fresh healthy foods, and the servers are happy to substitute healthier side dishes on request. It’s the perfect way to embrace the “Live Well Be Well” philosophy that makes the Miramonte Resort such and relaxing and refreshing retreat. Add in a very attentive staff and some great access features, and you have the perfect getaway choice for wheelchair-users and slow walkers.